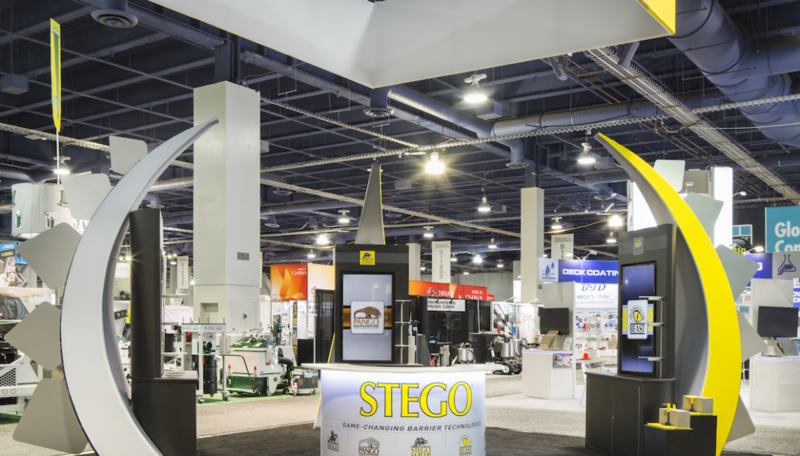 Stego Industries sought to stand out against its competitors, but also needed its trade show exhibit to maintain minimal and open to showgoers. Nimlok’s award winning design team delivered a display solution that checked off all the boxes: unique, open, and brand-savvy. 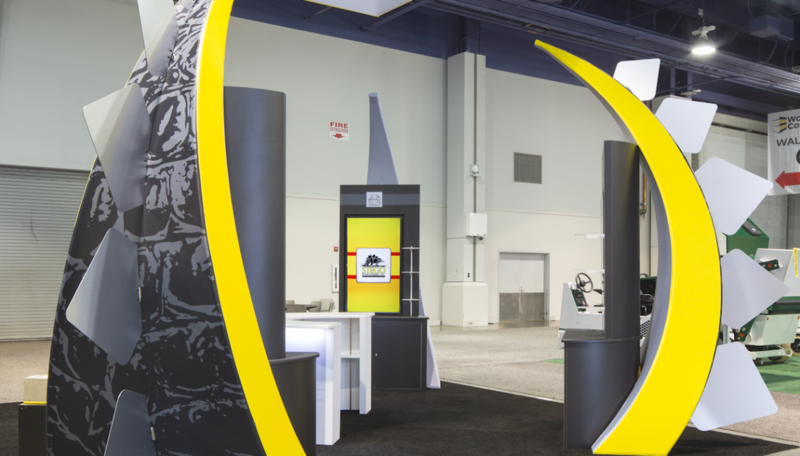 The 20x20 trade show display incorporated custom curved fabric structures throughout the space with printed dinosaur-like skin and Stegosaurus spikes along the backs—a unique and obvious reflection of the Stego branding. A central reception area welcomed guests into the booth, while multimedia kiosks throughout the booth offer additional engagement opportunities. Finally, a suspended hanging structure above the space guaranteed Stego the visibility it sought on a busy show floor.